The student made films from the Lens on Climate Change Program are now available to be viewed and shared. Thanks again to CIRES, University of Colorado Office of Outreach and Engagement, and the Colorado Film School for bringing their program on the road to Carbondale reaching 20 local middle and high school students during the 6 day free workshop at the Third Street Center. 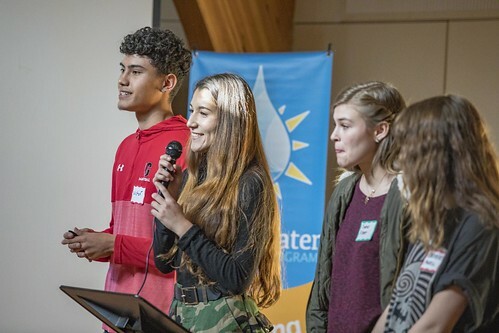 The films will be screened during the 2018 Healthy Rivers Youth Water Summit and also submitted to the Colorado Environmental Film Festival. Special thanks to all who made the Lens on Climate Change program possible in Carbondale, Colorado including: Community Office for Resource Efficiency, Third Street Center, CLEER, Solar Rollers, and Two Rivers Unitarian Universalists.